Soon, imaginations won't be the only things soaring at the Augusta Public Library. 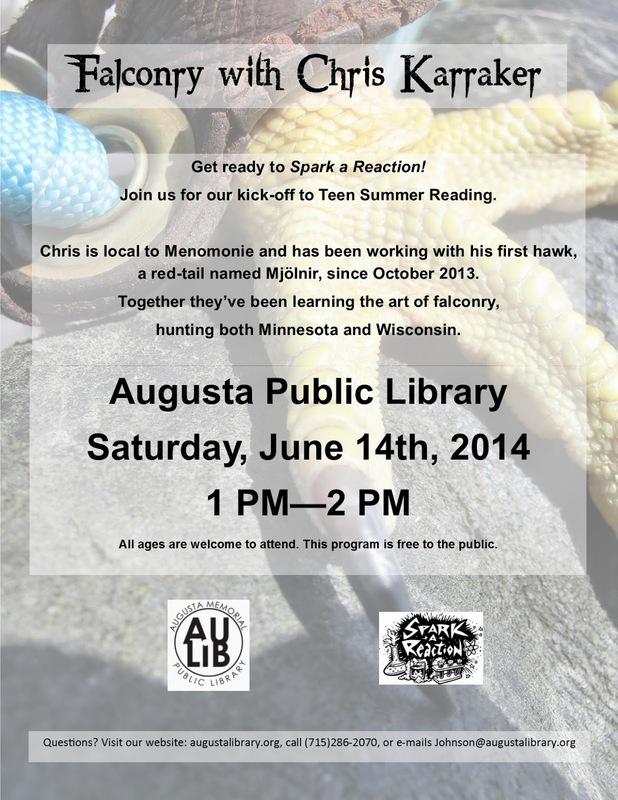 Falconer Chris Karraker, along with his red-tailed hawk, will be demonstrating the art of falconry at the library on Saturday, June 14, at 1:00 p.m. This event is free and open to the public. Please contact the library at (715) 286-2070 or aulib@augustalibrary.org if you would like more information.